The FinTech sector in India is growing exponentially and is estimated to reach US $73 billion in transaction value by next year. Today, over 560 million Indians are online and 1200+ FinTech firms are operating in India to serve them. There is no doubt about the huge potential of the FinTech sector in India. Regulators are also taking notice. India’s central bank, the Reserve Bank of India, recently announced that it is aiming to provide guidelines for a FinTech regulatory sandbox by May 2019. The Insurance Regulatory and Development Authority of India, the regulator of the insurance industry, has also received from its expert committee a recommendation to set up a regulatory sandbox. The Securities and Exchange Board of India recently announced guidelines for the use of Artificial Intelligence and Machine Learning (AI/ML) on trading platforms. New laws on payment systems and privacy are also in the works. 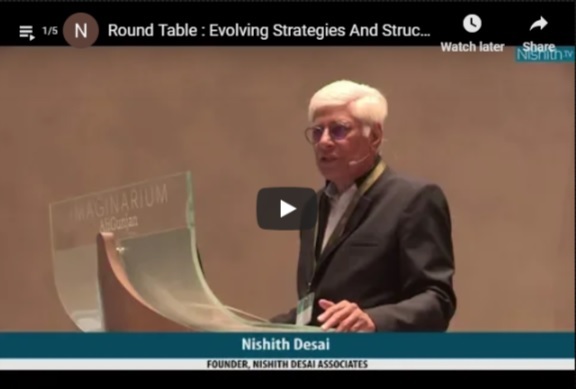 At Nishith Desai Associates, we are seeing a host of new business models come up, and with them, interesting regulatory issues. How will these regulations fuel or stifle FinTech innovations? Is there a way for Indian entrepreneurs to crowdsource funds? How are robo-advisors regulated? What is the latest on Aadhaar (the unique biometric-based identification system of over 1 billion Indians) and on-demand electronic Know Your Customer (eKYC)? Are blockchain-based models still feasible despite the regulatory restrictions on virtual currencies? In this Webinar, we will aim to address these and other important issues on the mind of companies and investors already operating in or looking to enter the FinTech sector in India. Emerging payments models and the role of the Unified Payments Interface (UPI). eKYC: Implications of the regulatory back and forth. Overview of the regulatory regime on crypto-assets and blockchain. Legal and regulatory issues in algo-trading, robo-advisory, data analytics, and money management. Data protection and data localization regulations in FinTech. Opportunities and Challenges of FinTech, Shri Shaktikanta Das, Governor, Reserve Bank of India, March 2019. Building a Successful Blockchain Ecosystem for India: An independent submission to the Government of India, Nishith Desai Associates, December 2018. The Blockchain: Industry Applications and Legal Perspectives, Nishith Desai Associates, November 2018. Digital Payments in India Report, MediaNama, February 2018. Report of the Working Group on FinTech and Digital Banking, Reserve Bank of India, November 2017. Report of the Inter-Ministerial Committee for Finalisation of Amendments of the Payment and Settlement System Act, Government of India, August 2018. Privacy & Data: India’s Ticket to Global Technological Supremacy, Nishith Desai Associates, November 2018. India Steps Towards Localisation of Payment Systems Data. Payments & Fintech Lawyer, June 2018. Vaibhav Parikh is an engineer and a lawyer with around 25 years of experience. He leads the practice areas of Technology, Mergers & Acquisitions, Private Equity and Blockchain. Over the years, Vaibhav has been advising many leading Indian e-commerce companies in their operations from a legal and regulatory standpoint. Tying in his expertise in advising several private equity players and venture capitalists navigate their way to successful investments, Vaibhav has facilitated some of India’s largest e-commerce transactions. A practicing lawyer for more than 20 years, Gowree Gokhale leads the IP, Technology, Media and Entertainment law practice of Nishith Desai Associates. Apart from assisting companies in high tech sectors to establish and operate their Indian operations, Gowree has been at the forefront of regulatory and policy initiatives at the firm for the TMT sector. Jaideep is a technology lawyer whose practice focuses on FinTech, including payments, crypto-assets and blockchain technology; privacy and cybersecurity; and other regulatory and public policy issues related to disruptive technologies. He led the drafting and presentation of an independent submission made by Nishith Desai Associates to the Government of India’s committee on virtual currencies, and represents the Internet and Mobile Association of India, a leading technology industry association, in the Supreme Court of India in the ongoing case on virtual currencies. He has been recognized as a notable practitioner for FinTech by Chambers and Partners’ Fintech Guide 2019 and is licensed to practice in India and California, U.S.A.
Dr. Mihir A. Parikh is Strategic Thought Leader based in Palo Alto (Silicon Valley) office of Nishith Desai Associates. With his expertise at the intersection of strategy, technology, and law, he advises companies and investors on strategic implications of technologies. He helps them to use law as a strategic asset to create new business and growth opportunities, defend competitive position and manage risks in highly competitive industries. The U.S.-India Business Council (USIBC) is the premier business advocacy organization representing America’s top companies investing in India, joined by global Indian companies, with an aim to deepen trade and strengthen commercial ties. The Indus Entrepreneurs (TiE), a not-for-profit founded in 1992 in the Silicon Valley, is the world’s largest global network with a mission is to foster entrepreneurship through mentoring, networking, and education. An application requesting MCLE/CLE credit for this activity is pending for approval by State Bars of California & New York. The Code announced during the webinar. Dial-in lines will open for the participants 5 minutes before the Webinar. Will be circulated upon registration. With offices in Asia, Europe and the United States Nishith Desai Associates is the go-to firm for corporates looking to conduct business in India as well as for Indian companies looking to set up operations abroad; navigate complex business regulations and grow.